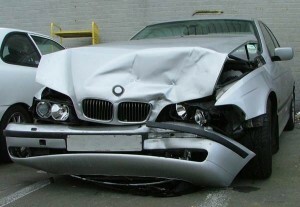 Home › Advice › What should you do if you have a crash or accident? In this article we’ll discuss how competent drivers avoid accidents, and tell you your obligations if you do have an accident. Until computers control all our vehicles, we will continue to have crashes because drivers are only human. Unfortunately humans are a bit like hokey pokey ice cream: generally squishy, but with some crunchy bits. So, when accidents happen, there can be a mess. Sometimes it will be impossible to avoid an accident – another driver might leave you nowhere to go, you could have mechanical failure, or an animal runs out in front of you. Most of the time, though, an accident is both drivers’ fault. There will be the person who is the most at fault (the person that did something wrong), and the person who is least at fault (the person that didn’t do something wrong, but drove poorly enough to not avoid the situation). While the second driver might not be legally responsible for the accident, they contributed to it. Drivers that don’t have accidents are ones that anticipate the road ahead, always looking for what potential situations and always spotting potential exit routes when it seems like there’s danger around. This doesn’t mean driving timidly, it means driving with awareness of what’s going on around you. They take in information, adjust their position, select an appropriate speed, select an appropriate gear and use the accelerator for full control of the car. But, if all of this isn’t enough to avoid a crash, here’s what to do. Stop immediately and put your hazard warning lights and headlights on if possible. Check to see if anyone is injured and render assistance. Don’t move anyone unless they’re in immediate danger or require first aid. See below for more first aid options. Call the police on 111 if it’s an emergency and people have been injured or killed, or *555 if it’s not an emergency. If you can’t get phone reception, 112 may work. If possible, send someone to warn oncoming drivers, and if you have a warning triangle, have them take it with them to place between 100-200m before the accident scene. If you car is able to be moved, move it off to the side of the road, or as far out of the way of traffic as possible. Exchange drivers’ names, addresses, registration numbers, phone numbers and names of vehicle owners with others involved in the crash. Note that it is your responsibility to clear up any broken glass off the road if you can do so. Remove any other debris from the road. 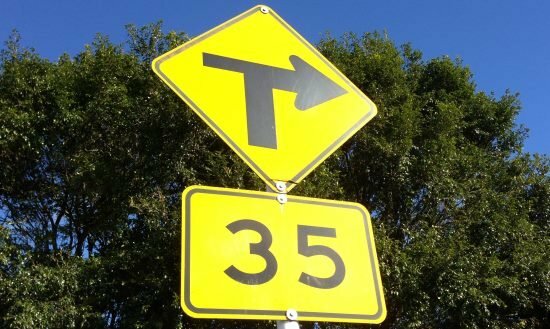 How do you know if you are coming up to a crash? If emergency services are on the scene you could see a blue or orange accident sign, flares, flashing lights, a warning triangle or other signal, depending on what has happened, and where. If you see a sign saying Accident the speed limit is 20kph until you pass the crash site, and keep a look out for emergency workers and other people at the crash scene, including potentially injured vehicle occupants who may be disorientated. Be prepared to stop. Only police can put up accident signs but any road user can put a warning triangle on the road to warn people of an obstacle ahead, but there is no compulsory speed limit. Be prepared to stop as it might be serious, but emergency services haven’t arrived yet. Warning triangles should be placed approximately 200m before an accident on either side of the accident to warn other drivers. Some vehicles come with warning triangles as part of their emergency kit – usually imported European cars. It is not compulsory to carry a warning triangle in New Zealand unlike countries such as Austria, Spain, Belgium and Italy. Look for skid marks, glass on the road, other debris, broken fence posts or saplings, and other evidence that an accident might have occurred. There may have been an accident with a vehicle hidden out of sight of the road, especially if it’s a windy back road. If you are the first on the scene you may be able to save the lives of people involved in the crash, and make the approach to the crash safer for other road users. Park your car in a safe position away from the crash area, leaving space for emergency vehicles and workers. Leave your hazard warning lights on to warn other road users. If people have been injured the first thing to do is call an ambulance (dial 111), then render any assistance you can. Emergency services should be given as specific details as possible about the location and any casualties, if any are trapped, whether emergency services vehicles are required on the scene, etc. If you are not sure exactly where you are, and you have a mobile phone, use your GPS or navigation app such as Google Maps to pinpoint your location. If it’s safe to turn the ignition off of any vehicle that was involved in the accident, do so. Be careful of airbags that have not deployed as they may deploy suddenly and could injure you. You need to move them to administer CPR (see below), or stop severe bleeding. Any vehicle occupants should not smoke in case there is leaking fuel. Do not remove a motorcyclist’s helmet unless it’s essential to do so (e.g. the rider is vomiting). Open the visor. If you have to remove the helmet have one person support the head and neck and another person gently lift the helmet off from the back. If you know first aid, administer any that you feel confident in delivering. If cardiopulmonary resuscitation (CPR) is needed, push down on the chest repeatedly to the tune of Stayin’ Alive. Do not do mouth-to-mouth resuscitation as this is now considered ineffective compared to simple chest compressions according to many health agencies. To stop severe bleeding raise the part of the body that is bleeding, and apply pressure to the wound preferably with thick, folded fabric, e.g a towel. If there are warning triangles position one roughly 200m from the crash site, then return and wait until emergency services arrive. If emergency vehicles are on the scene, if you are distracted by the crash and ‘rubberneck’ then you are at dramatically increased risk of causing an accident yourself. New Zealand uses signs similar to globally accepted hazardous goods signs. If any of these signs are on the back of a vehicle that has crashed, keep your distance as there may be poisonous fumes or a fire or explosion hazard. Make emergency services aware of what sign is present. Do not attempt to rescue a person in a vehicle unless you are certain that it is safe as you may endanger yourself by coming into contact with these substances. If you are involved in a crash while driving and you are not badly injured it is your responsibility to stop and check if anyone is hurt, and provide assistance. You must report an injury accident within 24 hours to police. If no one is hurt then within 48 hours you must provide your name, address, and vehicle registration (and, if you are not the owner of the vehicle, the name and address of the vehicle owner) to the owner or driver of any vehicle that has been damaged, or any property that has been damaged. If you can’t find these people, you must tell a police officer within 60 hours. You must also tell your insurance company if you are insured.